Want Eggs? How About Raising Some Chickens. Long before there were confined feeding animal operations (CAFO), people raised egg laying chickens in their backyards. As the inhumane treatment of mass produced farm animals for food becomes widely recognized, more individuals are turning to traditions of the past and again raising egg layers for their own use. The instructions that follow for raising chickens are easy, but these are live animals that require care and supervision just as domestic animals do. DOES YOUR MUNICIPALITY ALLOW FARM ANIMALS? The prospective chicken owner must first research and determine if their municipality has regulations against the keeping of farm animals. If not, begin the search for a hatchery. and well-being for the large numbers that are kept in confinement. HOW MANY TO ORDER: Order the number of chicks dependent on your available space. If your adult hens will free range on an acre, 15 chicks will be suitable. 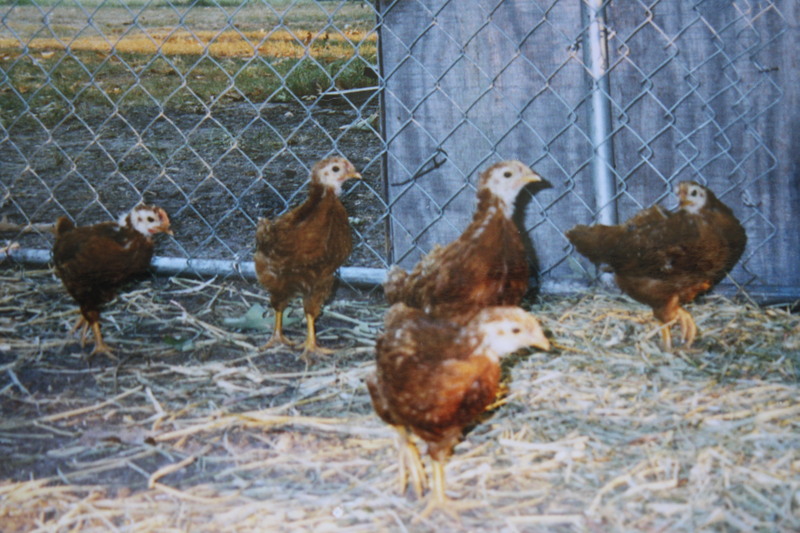 If you are limited to keeping your adult hens in a backyard enclosure, six chicks will be sufficient. Unless you plan to go into the business of selling eggs, 15 egg layers will create a sufficient supply. 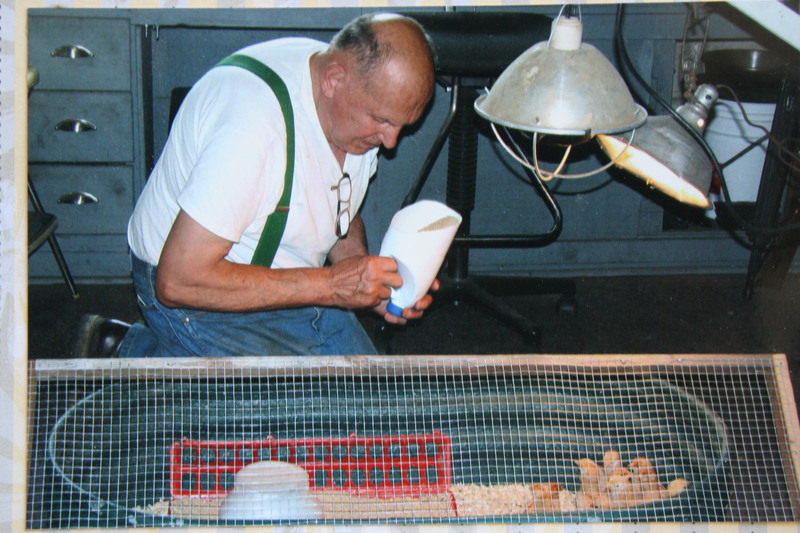 Once egg laying begins, hens routinely lay one egg per day for up to two years. They lay more productively in summer than winter, too. This is because egg laying is dependent on the number of daylight hours. YOU’VE PLACED THE ORDER. You now have a delivery date. Call your post office and give them the information and your phone number. They will call you as soon as your chicks arrive. a large plastic tub with sides high enough that chicks cannot jump out, (for extra security a sheet of screen over the top will also help keep the chicks secure), a bag of cedar shavings, a heat lamp with a secure fastener, waterer, organic chicken crumbles. Set up your chick’s housing in the location you have chosen. A warm kitchen, an out of the way mud room, or even the garage will be suitable. Place about three inches of cedar shavings in the bottom of the tub, securely fasten the heat lamp about 20 inches above the floor of the chick’s enclosure, put fresh cool water in the waterer, and offer plenty of crumbles. THE CHICKS HAVE ARRIVED: The chicks will arrive in a ventilated cardboard box. Pick them up promptly from the post office and settle them into their new home. chicks do not discriminate between the toilet area and feeding area. Pay attention to the comfort of the newly acquired chicks. 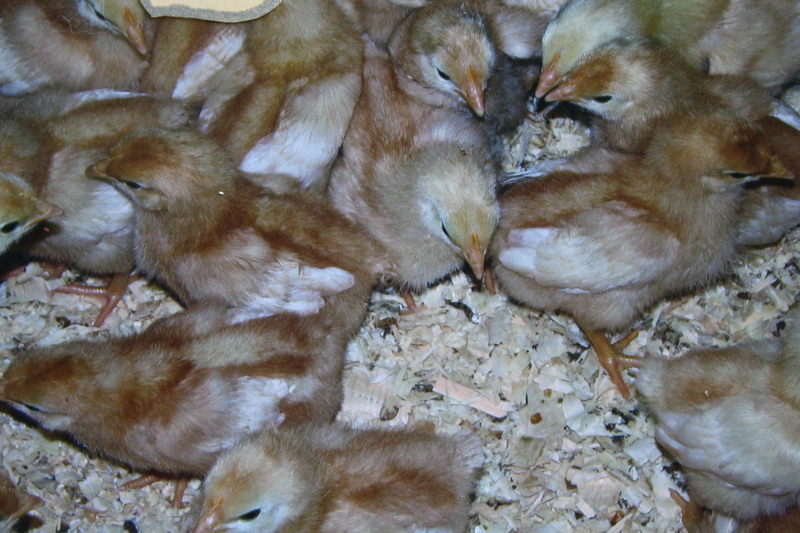 Use the huddle indicator: If they huddle together, your lamp is too far from the chicks; if the chicks huddle in the corners, away from the heat source, the lamp is too close. Maintain a bed of clean, dry shavings daily as it will become soiled from spilled water, food and excrement. The chicks will grow quickly and may need to be moved to a larger indoor container, such as a large dog crate. Use your judgement. By this time, you will feel accustomed to taking care of your chicks and will know when they are over crowed and need larger housing. MOVING DAY: By about six weeks of age the chicks will have most of their feathers and if the outside temperature is warm, they can be moved to their outdoor location. Much care needs to be taken as to the safety of your flock. Opportunistic predators such as snakes, hawks, owls, and foxes love captive prey. Even chicks that will eventually free range will need a place for safe keeping at night time. an 10 x 10 outdoor dog kennel, or larger; an outdoor dog house, plastic netting for a cover, fresh hay for filling house and box, egg laying box, perching area, organic egg layer pellets and water bowl. Dig an area 10 x 10 in diameter and drop your kennel into the earth. This aids in keeping the digging predators, like foxes from gaining entrance and eating your hens. Cover the enclosure with netting to keep out the flying predators. 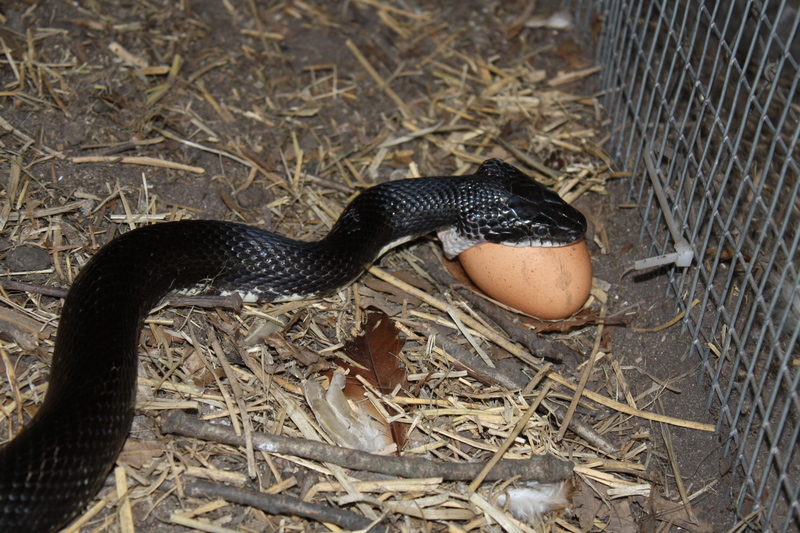 After four months of age, the hens will have grown too large for snakes to consume, so they become less of a problem. 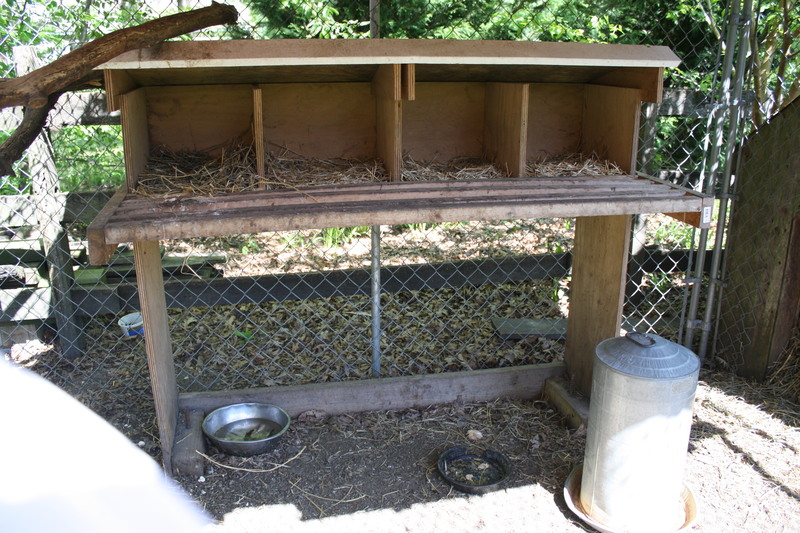 The egg laying boxes, feed bowls, and waterer, the perching area below. The housing is made from a dog box and plastic cover. —Chickens will eat much more than crumbles and pellets. Offer them seeds, produce and vegetable leftovers, both cooked and uncooked. Free range hens will also consume baby birds, mice and toads. 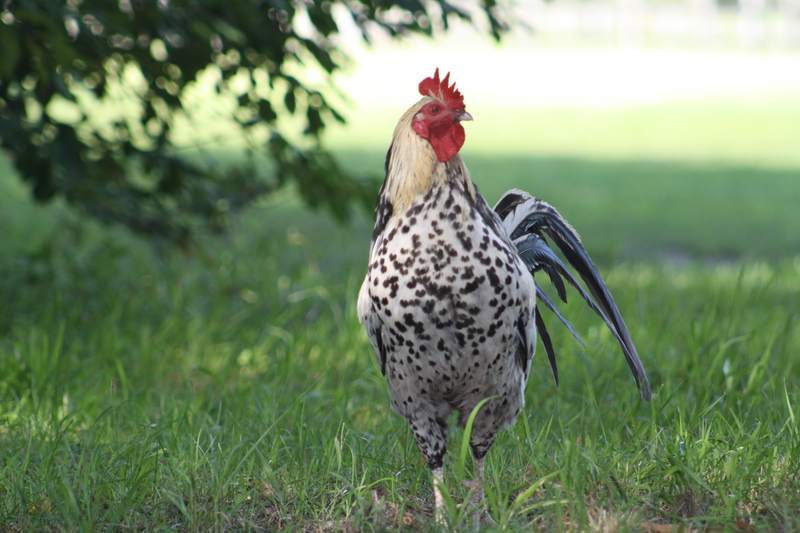 Chickens have individual food preferences. —Once your free range chickens are accustomed to their new outdoor accommodations, free them in the morning and near dusk they will (they should) return to the enclosure to be locked in for safe keeping at night. —A rooster is not necessary for egg layer success. —The chickens will eventually see you as their food source and will run to you upon calling them. Keep in mind snakes are an important part of the ecosystem. You can spare an egg or two! On Friday’s post I gave you some simple ways we can be kind and care for Mother Earth. Here are a few more. 1. Shred non glossy paper and use it to mulch plants. 3. Choose containers with 1 or 2 numbers since they are easiest to recycle. 5. Build a compost bin for you food scraps. We incorporate the nutrient-rich scraps into the garden beds each spring and have little need to add fertilizer to produce great veggies. 6. Buy produce locally and in season. Visit http://www.localharvest.org to find farmers’ markets and fresh produce in your town. 7. When you mow the lawn, skip bagging and leave clippings on the grass. It nourishes the soil. 8. Hang clothes to air dry when possible. Now, I promised you free seeds for attracting butterflies to the garden. Go to: http://www.livemonarch.com/free-milkweed-seeds.htm Not only will you bring beauty to your own habitat, but you will be helping an endangered species: THE MONARCH BUTTERFLY, who lays its eggs on the milkweed plant. 2. Repurpose and find other uses for objects you used to throw away. One example is to use empty tin cans and jars for pencils or flower vases. Visit http://www.creatingreallyawesomefreethings.com to find some great “tin can crafts”. 3. Instead of the cardboard coffee cup sleeve, check ebay.com for unique and clever cotton and knitted reusable coffee cup sleeves. 5. Donate your old electronics by visiting: http://www.pickupplease.org for details. 6. When shipping items, use old newspapers for packing instead of Styrofoam peanuts. 7. Catch rain in buckets to water the garden. 8. Use bar soap instead of liquid in plastic bottles. If you’re wondering where you can go to take part in Earth Day events, visit http://www.earthday.org to find local events in your area as well as volunteer opportunities. Being a good steward of the earth is important, and there’s no reason why it shouldn’t also be fun. 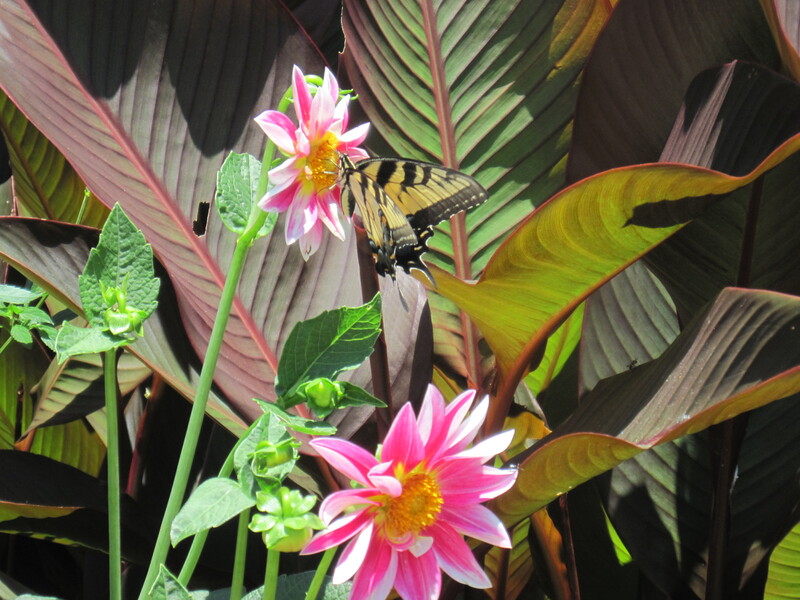 I’ll post more ways to be a friend to the earth on Monday as well as tell you how to get free seeds for plants that attract butterflies to your garden. Stay tuned. Another opportunity for all young ( or old) writers out there. The Mark Twain House & Museum’s Inaugural “Royal Nonesuch” Humor Writing Contest for writers of all ages from all corners of the globe! Celebrity Judges for Adults are: Roy Blount, Jr., Colin McEnroe, and Lucy Ferris. Celebrity Judges for Young Authors are: Tim Federle, author of Better Nate Than Ever, and Jessica Lawson, author of The Actual & Truthful Adventures of Becky Thatcher. Every night at bedtime, my daughter and husband crack open a book and wander through a story someone else has dreamed up. My daughter is more of the fairytale fanatic, enjoying journeys that take place in a realm that I read about as a child. Her most recent personal read has been the original story of The Little Mermaid by Hans Christian Anderson. My husband, on the other hand, tends to be more of a realist. The middle ground they both decide on means that the book they choose has to have adventure. 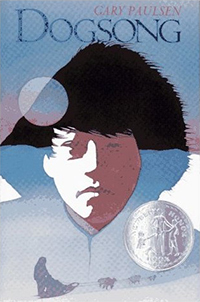 Lately, the type of adventure they’ve both been seeking has centered on the works of one author in particular – Gary Paulsen. The fact that my husband enjoys Paulsen’s work comes as no surprise. I never read any of Paulsen’s books while I was growing up, and when I saw the tomes lining my shelves after I got married, I wasn’t surprised to see why I hadn’t. Paulsen has a flair for writing more from the young boy perspective, which sadly enough, I feel is lacking in MG and YA literature today. That’s not to say that works aren’t being written for boys, but the most popular ones tend to hinge on fantastical elements and far-fetched storylines, like Percy Jackson and Harry Potter, both of which still hit the tops of most MG and YA lists. What’s missing in these books is real-life adventure, something a boy can go out and experience on his own. You might be asking then why my daughter loves Paulsen’s books so much. Mainly because the stories hinge on that big “S” word we all like to find in our novels – Suspense. In Paulsen’s stories, like Dogsong, The Voyage of the Frog, and Hatchet, the main characters are boys, but these are kids around her age, kids going through real-life conflicts and hardships. They find themselves in uncertain, often times harrowing circumstances, and she’s just hoping that they survive in the end. She loves anything that will take her on a great adventure as seen through the eyes of a child around her age. In Dogsong, young Russel Suskitt leaves the modern world with nothing more than a dog sled and a chance to find his own “song” inside himself. 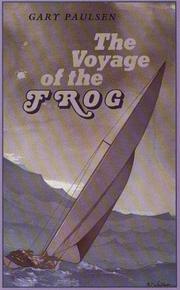 In The Voyage of the Frog, David Alspeth sets out to fulfill his uncle’s final wish and sets sail in the Frog.  Russel finds his “song” and helps a young girl along the way.  David, even after being lost at sea, knows he’s fulfilled his uncle’s last request. 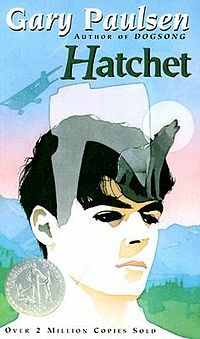  Brian not only survives the wilderness, but teaches others how to as well in The River, the sequel to Hatchet. In all, Paulsen writes stories about survival, something for which children today still hold a keen interest. Not only do they get to read a story that puts them on the edge of their seat, but they also absorb a learning experience about how to hack your way out of the wilds of Canada or survive a storm at sea in a tiny sailboat. If we are to believe as writers the old saying, “Write what you know,” much like Paulsen did, then we should also take it one step further. Add a little excitement and suspense into the mix. After running away from home at the age of 14, Gary Paulsen used his experiences in his writing when he embarked on a life filled with odd jobs, such as traveling with a carnival, being a sailor, and entering the Iditarod. If you’ve never taken the opportunity to read one of Paulsen’s many stories, then I encourage you to do so. You just might glean a little insight into your own life. Marriah K. Nissen is an adult historical author and co-author of the award-winning blog The Writing Sisterhood. Her previous work has won both regional and national competitions, including the Soul-Making Keats Literary Awards, the Southwest Writers Literary Contest, and the Pacific Northwest Writers Association Literary Contest. For the third straight year, she has recently received the New Mexico Press Women’s Award for best informational blog. She has her M.A. in French language, literature and culture and is an active member of SouthWest Writers in Albuquerque, New Mexico. She is currently working on her latest novel, which centers on the building of the first atomic bomb in Los Alamos, New Mexico. In honor of National Poetry Month, here’s an opportunity to submit poetry and other works for publication. The Center for Educational Testing and Evaluation is a research center at the University of Kansas that administers the Kansas Assessment Program on behalf of the Kansas Department of Education and is currently looking for writers to submit quality poetry and prose to be considered for use on state assessments. Great idea for anyone who has to present in public. Thanks Debbie.